Beethoven’s String Quartet No. 7 in F major, Op. 59, No. 1 begins with an extraordinary musical conversation. From the first note of the cello’s warm opening statement, we’re immediately drawn into a miraculous, unfolding drama. The cello reaches higher, attempting to express something enormous and cosmic. The violin picks up where the cello left off, reaching even higher with increasing urgency and abandon. Both voices seem to be struggling to find just the right notes in this intensely insistent moment of aspiration. Beethoven made a cryptic reference in the score to the acacia, a symbol of Freemasonry. In these opening phrases we get a sense that something important is being expressed, but what is the music trying to say? We can’t ascribe literal meaning to these pitches and vibrations. But on some deeper level we understand what is being communicated, and that is the essence of the unique, mysterious, and indispensable power of music. At the end of the exposition, Beethoven gives us a false repeat. For a moment (at 2:52) it sounds as if we’ve returned to the beginning, but then, suddenly the music veers off into a development section that takes us to new, unexpected keys and adventures. The conversation becomes simultaneously intense, snarling and comic, with surprises at every turn. A brief fugue begins at 5:04. The second movement explodes with a blend of ferocity and humor. The musical lines playfully chase and collide with one other, imitate one another and finish each other’s sentences with unpredictable frivolity. Listen to the wild complexity of the rhythm at 12:53 and 17:17. At 18:40 we hear one of the craziest passages as each voice joins in dense counterpoint. A weeping willow or acacia tree on my brother’s grave. (Einen Trauerwiden oder Akazien-Baum aufs Grab meines Bruders). 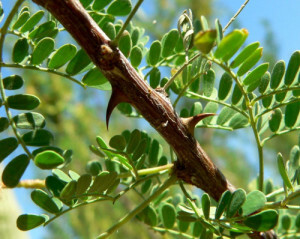 The acacia is a symbol of Freemasonry. Although no one knows for sure, it’s believed that Beethoven, whose brothers were both alive at the time, was a Freemason. The three Op. 59 were commissioned by Count Andrey Razumovsky (1752-1836), who served as the Russian ambassador to Vienna at the time. In honor of his patron, Beethoven built the final movement around a popular Russian folk song. For musicologists, this quartet marks the beginning of Beethoven’s “middle period.” During this time, his music became longer, more complex, and increasingly virtuosic.